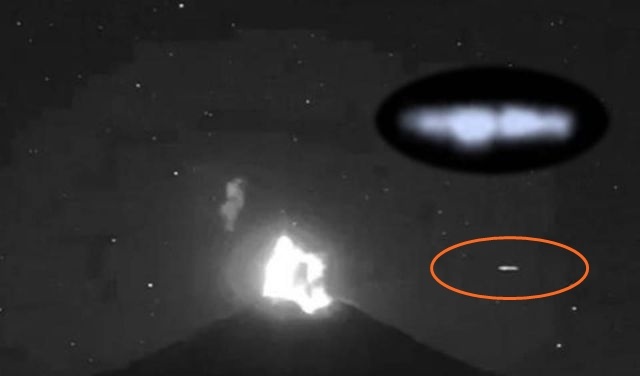 UFOs continue to be seen regularly at volcanoes around the world, especially the volcanoes Mt. Popocatépetl, Mt. Colima and Mt. De Fuego in Mexico are UFO hotspots. These volcanoes are the most active places in the world if we talking about the numbers of sightings and evidence of UFOs near volcanoes. For many years, UFOs buzzing around, zipping into the craters, mysterious bright lights shooting over these volcanoes and all these UFOs are captured by webcams trained on these volcanoes, yet the objects captured by a team of Maurice Mousseau equipped with special cameras owned by CENAPRED, yet many witnesses and sky watchers who have recorded unidentified flying objects near and above these volcanoes and till now nobody knows why are these UFOs especially near these areas. Here is Maurice Mousseau with a short compilation of UFO evidences, including the latest UFO sightings taken near these volcanoes.